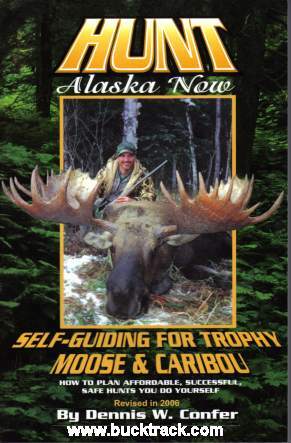 Hunt Alaska Now is the single best book on unguided hunting for caribou and moose. It is loaded with practical advice on planning your hunt, choosing an area, keeping costs down, hunting tactics, trophy judging, gear selection, meat and trophy care, getting your meat and antlers home, and much, much more. This book will pay for itself easily in hunt cost savings. You will not be disappointed! 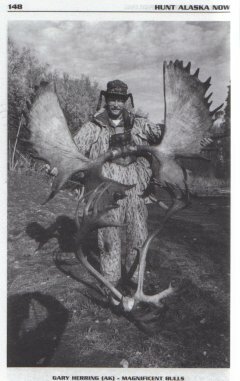 Softcover, 368 pages, lots of great hunting photos! Please send comments, suggestions, or questions by clicking the email button above.